Vermont | Where is Yvette? 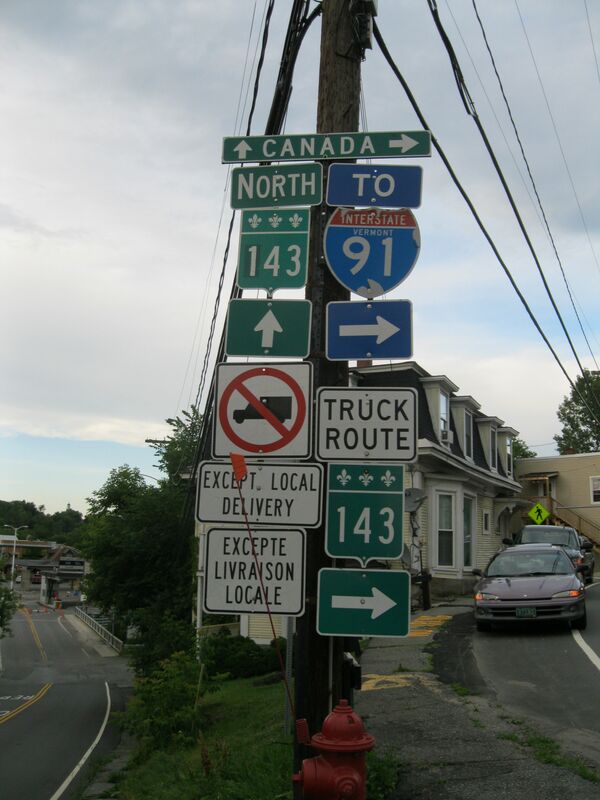 I returned to the United States from my Quebec romp to the great state of Vermont after leaving Canada and answering questions from a border guard who was genuinely curious as to what on Earth I do to have so many different passport stamps (a first, actually). I needed to stop for gas because it’s significantly cheaper on the American side, and this innocuous reason led me to Derby Line, Vermont, a small community of ~700 souls that I’d read about before but was tickled pink to actually see in person. Because you see, Derby Line, VT is actually contiguous with another town called Stanstead, QC, which is a rather fancy way of saying the border between the USA and Canada runs smack dab through the center of town. People who live in the community often have their houses in the USA but enter Canada when they back their car out of the driveway, town meetings are sometimes held in a foreign country, and even the sewage makes a cross-border journey for treatment. I’ve always thought it must be neat to live there, partly as a symbol of how borders are just lines and we’re all people but mainly because I think it would be cool to travel between two countries whenever I wanted a snack from the kitchen. Of course such a beautiful system that had worked for hundreds of years was sure to be tampered with by idiots who don’t know a good thing when they see one- namely the United States government- and after 9/11 US Customs and Border Protection decided to tell a town of less than a thousand souls that their undocumented border crossings were a threat to homeland security. There was talk and outrage because the Powers That Be were interested in shutting down some of the roads to traffic, and this was of particular concern to the community because the library/opera house was built directly on top of the border. By a dual nationality couple intent on fostering cross-border ties.